Imagine you wake up one morning and your tooth starts to ache. Thinking nothing of it, you continue getting ready by brushing your teeth, showering, getting dressed, and making breakfast. The pain begins to subside, but as you drink your cup of coffee, the pain worsens. Now you’re starting to get worried. 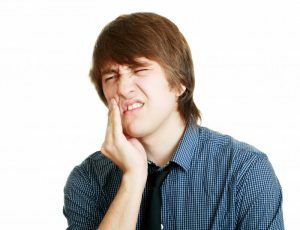 When tooth pain appears, patients often aren’t sure when it’s time to get it addressed by their dentist in Medford. After reading this post, you’ll know exactly when it’s time to see him! When Should You Address a Toothache? Feeling minor sensitivity is not the same as feeling pain in your tooth. Sensitivity can come and go, especially when you expose your teeth to very hot or cold stimuli. However, lingering or throbbing tooth pain is usually a sign that something else is wrong. Toothaches are difficult to diagnose without visiting your dentist for further inspection. A toothache could be a sign of an abscessed tooth, which is an infection. This is generally accompanied by swelling and severe pain, as well as a fever. It could also be a sign of decay that’s reached the vulnerable nerve endings inside your tooth. The last thing you should ever do is ignore a toothache when it appears. Allowing it to develop will only make the problem worse later and may even require a root canal if an infection is present. First, confirm that your tooth pain isn’t actually a piece of food stuck in between your teeth. If this isn’t the case, take a painkiller such as ibuprofen to manage pain until you visit your dentist. If there is swelling, apply a cold compress to the cheek where the affected area lies. You can also apply a numbing gel to the area to reduce pain further. Make sure to keep a record of your pain so your dentist has a better understanding of what the cause could be. For example, is the pain chronic or does it come and go? Is your pain affected by any specific stimuli? Is there visible damage to the tooth itself? These are all questions you should be prepared to answer either over the phone with your dentist or once you arrive. Don’t let dental pain go by the wayside. Schedule an appointment today if you’re having a dental emergency! Dr. Anthony Giamberardino does everything he can to see patients the same day their dental emergency occurs. If you’re experiencing a dental emergency, don’t hesitate to contact him at (781) 396-3800 or visit his website for more information.